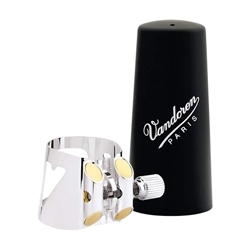 Vandoren' s Optimum Ligature features one adjustment screw that is threaded through both posts of the ligature ensuring even pressure on the reed. As a result, you will find more of your reeds will perform to your expectation. Included are 3 interchangeable pressure plates with different pressure points that give different timbre.